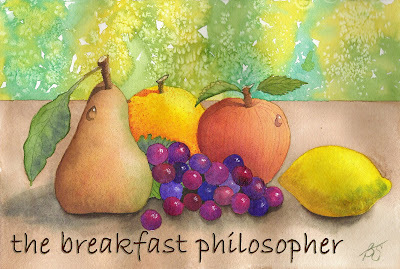 Up until this point, I have been (sporadically) keeping up with two blogs, this one, and another called "The Breakfast Philosopher." This one was for all things arts-and-crafts-related; the other was for whatever I felt like ranting about everything else. Finding the need to simplify my online life, I am condensing them both into this one blog, Beth Stone Studio. Easier for me to keep up with, and probably more interesting for you....well, here's hoping, anyway. I can't make any guarantees on that account. I spend a lot of my time doing mindless gerbil work painting and crafting, and consequently, I have a lot of time to mull things over while my hands are busy. So, this blog is now the marriage of both of those parts of my life. You'll get to see what I'm working on and read what I was thinking about while working on it. I might even throw in some completely unrelated and random stories, photos, videos, and links I think might interest or amuse you. In case you were a devoted follower of "The Breakfast Philosopher" and are feeling all panicky about its demise - don't fret! The worthwhile posts are now included in the archives of "Beth Stone Studio," so the two of you can go back and re-read them to your hearts' content. So, stay tuned for future posts with an expanded focus... and don't forget to enter my Thanksgiving Giveaway! Remember, you can earn extra entries by linking to my post on your blog or by placing an order from my website or my Etsy shop by 11.23.09! And of course, don't forget to leave a comment and "Follow" me on Google Friend Connect! Thanks! 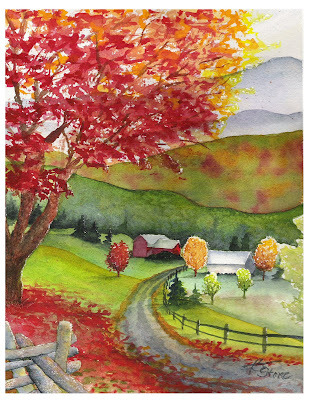 Hope you're having a lovely fall day! Great idea! It's hard enough to keep one blog going, much less two.